Here’s what we have if you are not familiar…First of all I want to point out that our needles state what they are used for right on the packaging…most needles do not give you this info…they are labeled betweens, sharps, milliners, and so on…and let’s face it sometimes it will be years before we might do some things and then it’s like ok?? what needle am I supposed to be using? Next up is the Big-Stitch Needle...I can’t wait to get a quilt on my frame for 2018 to hand quilt..2017 was a super busy year and I did not hand quilt one quilt…which is sad because I love doing it…The big- stitch means we are hand quilting with #12 perle cotton thread and making big even stitches…this is the perfect needle…big eye for threading the thicker threads and it a very sturdy somewhat shorter needle for needling between those layers…Big stitch quilting goes fast and is much easier on the wallet than getting every quilt you do machine quilted by our lovely most awesome-est machine quilters…. Last but not least is our Binding needles…I can’t say how many great responses I have received from these needles? I bet most of you bind your quilts (those of you who do) with whatever needle is in your pincushion…well you will love binding with the right needle and this is it!! Our needle is long, thin but will not bend like a straw needle and it sports a nice big eye to thread a heavier quilting thread that you should be using for binding your quilts that will be used and washed. 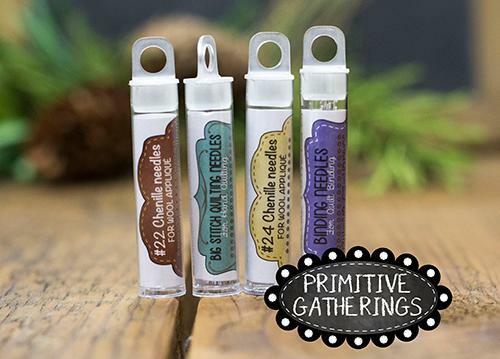 This is a great time if you have never used our needles to try them…here is the variety pack…You will be getting a $1 off each tube for this promotion!! Click HERE to order yours today!!! If you want to win please comment on this post…your question is…Do you love to bind? Do you hate it but do it?….Do you bind your finished quilts right away or are they stacked up waiting for you to stitch those bindings…Do you happily pay someone to put your binding on? How is your Christmas prep going? I am fitting things in between Nick’s Dr’s Appts, work and watching Jace here and there while his Momma works the busy holiday season!!! and he has his MiMi’s love of dark chocolate!!! PS…I am so happy…I just got my new iPhone…(I still had a 6, which is ancient if you use your phone for work as much as I do-I can be stubborn sometimes and not want to pay for a new phone every time a new one comes out…) it takes such wonderful photos!!!! It has portrait mode…see the background blur…and look how clear they are!!! I suppose it helps that this kid is soooo adorable too! Binding is not one of my favorite things, but perhaps using your needles i may change my mind? Thanks for your free BOW’s, love those. You put so much into everything you do and i want to thank you for that and for a chance to win!! I love to bind my quilts…its almost finished and I get to admire, critic, and feel the warmth as I sew on the binding. I did not know I should use quilting thread to sew it on! I will from now on. Thanks for the tip. I do like to bind because then I know my project is completed & usually do it right away. I do have a stack that needs quilting though. I always bind by hand & have to say I used your binding needles on the last quilt I put binding on & love them. I enjoy binding quilts- Love everything about quilting really!! Hi Lisa, I love to bind quilts. I bind my quilts as soon as I finished quilting them on my longarm. It is almost as much fun as piecing the blocks. Enjoy your grandson this Christmas! I love to bind – it is so relaxing and a signal to my brain that this particular quilt is about finished! Time to veg out in front of TV and relax at the end of a busy day is what I love! I also bought Lisa’s new binding needles and they are FANTASTIC and actually make a difference as to how smooth and quickly the biding gets hand sewn down! And the dark chocolate making with Little Man is an added bonus!!!! I absolutely love to bind my quilts by hand. It calms my body and my mind. And it’s so rewarding to put in that last stitch and know the quilt if finished. I’ve been looking for a good binding needle. I know with yours I will end my search. Thanks for the opportunity to win. Merry Christmas! I find it very comforting and relaxing binding a quilt , for me it’s one of my favorite parts !!! And yes, that little man is adorable, but then so are my grandkids !!!!!!!! I Love to bind. Love to sit with the quilt in my lap it’s so relaxing. Yes, I bind my quilts right away. It’s the getting them quilted that may take awhile! Love your needles, by the way. I just gave a tube in my exchange gift at our guild Christmas party last week! I LOVE to bind! It gives me a chance to sit and focus on the project and relax. I machine bind front and back for others and occasionally do so on my utility quilts, but hand-sewing binding is like a bonding experience between me and my quilt – I think about what happened in my life when I was working on the quilt, what we’ve been through together, etc. I don’t mind binding, but I am always so anxious to have it finished that it seems every quilt has eight sides! My fingers get so sore – perhaps your needles would help! I love to bind my quilts. It is relaxing to curl up in a chair and work on finishing a quilt. It feels good to have that quilt draped over my lap and adding the final stitches to a quilt . This also the time I attach my quilt label to the quilt stitching 2 sides into a corner and then sewing the other sides of the label onto the quilt back. Kristi…. I’ll quilt your stack!! I love to bind and bind my quilts straight-away. I love all hand sewing but have never hand quilted a quilt and would love to. I would really love to see one of your quilts you mentioned in your blog that you hand quilted with the pearle cotton. Please, please, please post a picture. Thank you. Yum, dark chocolate. I have tops done that need to be quilted & bound. Thanks for the info on binding as I have not heard what thread or needle to use in any of my classes. I love binding quilts and I bind them as soon as I finish a quilt! I can’t wait to try these binding needles! The best needles ever! I love hand binding my quilts. One thing I love about it is as I bind, I get to see the little details from the quilter, or blocks and details of the quilt. I call it a simple pleasure! I have 3 quilts ready to big stitch quilt next year! I bind my own quilts! The last step in the process and it feels so good to take that last stitch! Would love to try your binding needles! I get my binding ready before I finish quilting so I have it ready to go!!! So glad you are having so much precious time with your grandson! That is what is most important. Merry Christmas to you and your family. I so enjoy your posts. I would love to try your needles! It is one of those things I don’t give much thought to and it would probably make the work much easier if I was using the correct needle. I will be ordering a variety pack. Hand stitching the binding is one of my favorite things. It’s relaxing and it means you are near a big finish. I’d like to try the binding needles. As it is, I just grab the closest needle and start sewing. I am going to be binding my first wool wall hanging. Very nervous and will see how it goes. Great giveaway. Blessings to you and yours and hoping Nick gets better soon. Our big Christmas is today…then I can coast through the holidays. I love hand binding my quilts (I love traditional hand quilting too). I bind right away to consider my quilt finished which is a great thing. I would love to try big stitch which would be a new skill for me. I also would love to try more wool projects so for a “beginner” to some of these skills a needle collection like this would be great. Merry Christmas and Happy Holidays! I love any kind of handwork so binding is relaxing to me if I’m not pressured by a deadline. Baking, cards and wrapping are still calling me!! Have a wonderful week, Lisa!! I just sewed a binding on for a Christmas gift quilt. I don’t like this part of quilt making but it always gives me a good feeling because I know the quilt will be completed when I am done! I love to bind a quilt! I never liked sewing my binding on until i saw your video on sewing the binding on your small snowman quilt! Lisa you had posted how to make your candy at on time, do you still have that posted from a long time ago? I love these needles, they are the only ones I use for all my hand stitching. Working with wool is one of my favorite things to do as I love the hand stitching. So to answer your question…. Yes, I love sewing on binding! Binding is relaxing and satisfying that the quilt is almost done! And I love your binding needles. Thanks for the giveaway. Hate is an awfully strong word, but I don’t like to bind. That being said, if I have a quilt that’s ready to bind, I do it right away. I want it to be finished! I sew my own binding on, normally as soon as the quilting is done, as I’m anxious to see the finished project. I enjoy cuddling under it and stitching the binding while watching a good movie. Great information on the needles. I have not tried the binding needle, anxious to give them a try. I used to dread hand sewing the binding and tried every way to machine sew it, but, alas, no more. Hand sewing a binding is the most satisfying way to finish a quilt, sitting in m easy chair, with the quilt draped on my lap. Um, heaven! Little man is adorable. Awesome that you have some time at home. Hope Nick is feeling 100% soon. I have the #22 and #24 needles and love them. Will have to try the big stitch and binding needles. Love big stitch quilting!!! I don’t see a choice for the variety pack? I bind mine right away as it is the final step and I want to see the finished product😀 I enjoy the hand sewing part. Not to fond of the machine part especially if it is big. I find binding relaxing, a no thinking job. I love to bind my quilts. Then I can say “it is finished” and use it. I love your Binding needles… sturdy, large eye, easy to handle and very sharp. Makes sewing on the binding enjoyable. I love to do binding. I don’t even charge for sewing on binding as Laura B. knows. I’ve done some for her in the past. I bought some of your binding needles and find them easy to use. I handbind all my quilts and while it takes forever, it is an excuse to sit! Which is rare around here. I have been using silk to bind, so I guess that wasn’t right? They seem to be holding up though, through multiple washings. I like using silk because you can exactly match your backing and no stitches show. Big stitch needles…. oooh I might like to try that! I love the #22 and #24 for wool appliqué. When binding, it depends on if I have a deadline how soon I bind. Lately I have quilts that needed binding right away, like I make baby quilts for my daughter to give as gifts at the school where she teaches and this year there are 4 babies so far. And then I just finished two t-shirt quilts for my neighbor to give to her daughters as memory quilts of their dad for Christmas. Other years, well they stack up and I have 5 or 6 at a time I save for the winter when I’m inside more. Right now I’m caught up. Yeah! I do bind my quilts, I wait and do them when the weather cools off. Love love your needles, I have used your chenille needles, I am excited to get the binding needles. Merry Christmas! I enjoy binding my quilts and do it right away. It’s relaxing. I wasn’t aware that I should be using quilting thread and am curious about the special binding needles. I sew my own binding, but I don’t like to bind at all. I bind right away before I can talk myself out of it. I bind with straw needles. Love them. Love binding….no thinking…very relaxing. Would love to try your binding needles! I don’t live binding and admit that sometimes I do it totally by machine. Would love to try the binding needles. I love the 24 chenille ones. I like to bind. It’s relaxing to put the finishing touches on a quilt while slowing down and enjoying some handwork. I usually bind my quilts soon after they are ready, but I picked a quilt up from my quilter about 4 weeks ago, and it is still sitting in the bag where I put it when I got home. It’s the time of year — too busy with holiday events and prep. After piecing, binding is my favorite thing! I love the beginning and end, and thoroughly enjoy the middle of the whole quilting process! Binding is relaxing for me. I love the feel of my new quilt on my lap, and remembering the challenges and triumphs of getting to this point. When the binding is finally finished, I immediately spread the quilt out on the floor so my husband can “ooh and aah” over it. Then, with much enthusiasm, I’m ready to start the process all over again. I don’t have your needles but definitely will put them on my want list. Love that they are labeled for different applications. I do not like to bind but of course I do it anyway! I prepare the binding when I finish the quilt top so that is ready after the quilt is quilted. I do the hand binding at Bees so it makes it more pleasant and not boring. I Hate to do bindings and when I do – I do it when I finish quilting the quilt. I don’t think I could stack them and do them all at once. I machine quilt comfort quilts for our guild. I partner with my friend Barbara as she likes to do the bindings. Once the quilt is quilted I hand it off to her. That way we are both helping the cause. I am a binding procrastinator! I usually have quite a few that need bindings! There was not an option for an assortment of needles. There were two options for binding needles. I love hand stitching the binding! Wool appliqué is my favorite and then finishing with binding is right up there with what I enjoy stitching. Is that weird?? I even offer to do it for friends. Lol. I would love to win your needle selection. Merry Christmas, everyone! I love to bind. It gives me the satisfaction of completing a project I have have lovingly sewn. I find it very relaxing. I don’t mind binding a quilt when I can sit and relax and watch a wonderful movie. I haven’t tried your binding needles, would like to though. I love to bind. So relaxing & it’s rewarding to have my almost finished quilt on my lap. I do bind my quilts right away. I always start about 12″ from an end, that way when I’m coming around that last corner, I know I’m on the home stretch , I love to hand bind. I love to bind, which was not always the case. I make my binding as the last step before I send my quilt off. That way its ready to be put on as soon as I get my quilt back. For some reason I hate making the binding later. I find that sewing on the binding is relaxing to me now. Several months ago I bought some of Lisa’s binding needles and they are absolutely fantastic. The size of them is just right and makes the process much easier. I used to end up with sore fingers from using a too small needle, but no more. If you haven’t tried them…you should…you will not be disappointed. Binding to me means approaching the finishing line. Yahoo! Almost a finished project. I enjoy hand binding but just recently did machine binding on a baby quilt. Definitely would appreciate winning your needle pack! I have my quilter sew the binding on but then I do the hand stitching. I don’t mind sewing it on in small bits of time but it’s too boring to do it for hours at a time. I am so close to having a finished quilt that it keeps me motivated to get it done. I do not like to bind. I have one quilt that I got back from the long arm quilter about 5 years ago still waiting for the binding. I know, that is terrible. I will make that my New Year’s resolution, to finish the binding on that quilt. I LOVE to sew on bindings!!! It means my quilt is finished!!! I am somewhere in between love and hate on bindings. Don’t hate but it’s not my favorite thing either! I usually get the binding on pretty quickly, can’t stand putting it away that close to being completed. Some bindings get sewn on the machine, some by hand, depends on the project. I absolutely hate to do binding so I tend to do it immediately. If I put it aside to do later it just never seems to get done. Next to making the top is binding…I know the end is near and I can give it away or snuggle under it. I love to bind, by hand. It is one of my favorite parts of the quilting process. I bind my quilts as soon as they are quilted, usually. Would love to win these needles! I hate to bind. Love to finish! “Little Man” is adorable:) And those peanut candies are delicious! While binding is my least favorite part of quilt-making, I find it relaxing to hand sew them. It also means a project is almost complete! I do them as they are ready. Often I will make a binding before the quilt is complete or quilted. That way, I don’t use that fabric for something else…..plus it’s ready to go on once quilting is finished. Love all the listed needles. I have used them all but big stitch needles but will be trying them shortly:) Hope Nick’s recovery is going well. Your grandson is adorable! Grandchildren are such a blessing. OHHH, that candy looked delish.. I usually bind right after, for the most part . Sewing on by machine, then my Hubby hand stitches the rest. , so blessed.. I absolutely love to bind. It means a project is done and I get to sit and stitch while watching a cool show!! OMG! I didn’t even know there were binding needles. I have never seemed to find the right needle to handle the job and always ended up with sore fingers. Can’t wait to try these needles! I love to bind my quilts! If it’s a gift, it’s part of the long goodbye, and getting to spend time with it before it’s departure. If it’s my own quilt, I fall deeper in love with it during the binding process. I like to bind because I know it is almost finished. I couldn’t figure out how to get assortment. I bind my own quilts. The last time I counted I had six quilts waiting for binding. I don’t mind hand stitching my bindings on and find it relaxing. I would love to try your binding needles they sound awesome. Your wool needles sound great too. Your little man looks like a good helper. My grandson is my best helper. Have a great day! I love to sew my binding on my quilts. It means I’m almost ready to hang or decorate with the quilt. However, I’ll have to try your needles to see how you make it easier and maybe faster to sew the binding on! appliqué, & embroidery. Makes it easy to know which needle you need. Binding a quilt is my favouite part of the quilt making process and I do it right away because I love the end result. I use the #24 needle a lot for my wool applique. I didn’t know there was a binding needle, so I’ll have to give that a try. I like binding quilts because it’s fun to snuggle up with the quilt while I stitch. I’m excited to try your needles to make the job even more enjoyable! I love all parts of the quilting process. Binding is something I like to do while relaxing and watching a good movie. The problem for me is actually getting the binding on the quilt. I do fall behind sometimes. Love your little man picture. He is growing up so fast. I love to bind; it’s the quilting that’s hard to get done. I have quilted one quilt doing big stitch and enjoyed it very much. I’ll be doing more of it. Thanks for the chance to win these great needles! I love wool applique and took hand stitch my bindings.. I am enjoying binding so much more since a friend showed me how to join those pesky ends with a 45 degree angle seam!!! I am always excited to bind because it means a finished project is within reach! I LOVE to bind quilts. It may be my favorite part of quilting, as it is the final step before using or gifting the new quilt. I would love to try your binding needles. I love to bind quilts. Having s nice warm quilt in your lap while you hand stitch the binding! It’s wonderful. And your binding needles are the best!!! I love binding my quilts. I look at it like a little reward. I can sit and stitch in front of the tv. Is it a one mivie or two binding. I love to bind. I feel it’s that last step and love to sit with the piece on my lap and think about who it’s going to or, if it’s for me, how much I love it and where I will display it. I don’t always bind right away, it just depends. And I love these needles!! 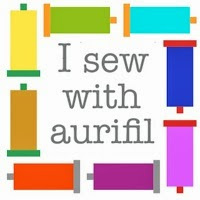 I just ordered some and included a tube of binding needles for each of my 3 best quilty friends. I love to bind because it brings me closer to the finished quilt. I always bind as soon as I get the quilt from the LAQ. I love binding the hand part. I curse like a crazed woman though when I’m putting the machine part on. I bind right when a quilt is complete or very soon after. I love to see the complete quilt coming together sprawling on the floor as I bind. Binding is the best part, because you are almost done,,,and on to the next. Love your tips and family news. Will have to try the other needles to see if they do make a difference…….Merry Christmas to you and yours. I actually enjoy sewing my own binding. My bindings have improved greatly this past year. A friend showed me a flawless way to join the bias cut once I’m ready to finish the machine part. I love hand-stitching it down while watching a movie. Generally, they are bound as soon as they are quilted. I love the FINISHED feeling. Little man is adorable! I love to sew on the binding…I am always grabbing those binding projects from the guild phlianthropy table..I cannot watch tv without some handwork to do. Congrats on the new phone! Really cute photo! Which iPhone did you get 8 or 10? To me a good camera is a must. binding is ok with diversion like a good movie or on a quilting friends day. I do it right away. it would drive me nuts to have a quilt laying there with binding unfinished! I like to do my binding while watching an old movie or binge watching a series–kind of a zen experience. I would never pay someone to do it for me–too frugal!! I neither love nor hate to bind. I just do it as part of the normal process in finishing a quilt. It brings me closure and clears my mind for the next project in line. I do all my own binding. You amaze me with all you accomplish. And with a smile. Bless you and your family this holiday season. 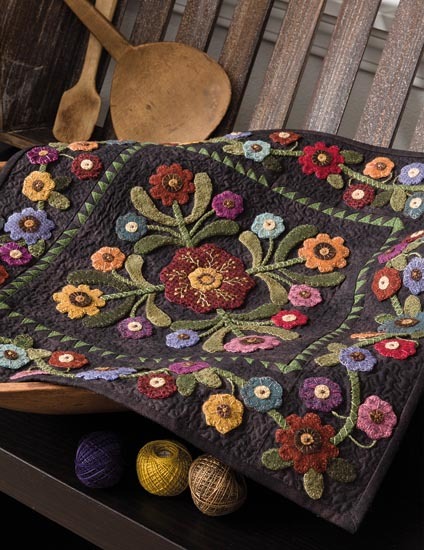 I love any hand work from quilting, wool etc. that lets me curl up with fabric in my lap so yes I enjoy binding and these needles are wonderful. Love, Love, LOve to bind. I Find it very relaxing. Have even done binding for others! I love handwork, so to me binding is relaxing and enjoyable. I have bound many charity Quilts by hand and really love it. On my personal Quilts there are two issues….I’m good at starting new Quilts, not so good at finishing! Binding is kind of bittersweet because your project is ending, But a good thing because it’s finished. I love binding my quilts and do them right away. In fact, I love binding other people’s quilts, especially if I’m paid! Lol. Binding is the finishing framework to any quilt. I love binding my quilts. I make my binding right away after making my top. I’m ready when it comes back from the quilter. I’ll even bind my friends quilts. I love binding by hand, but I’ve been experiencing some hand issues lately so I’m experimenting with machine binding as well. Nothing is more enjoyable than curling up under a quilt I’m binding while watching a good movie. I’m ordering your needles – everyone seems to love them, and I think a good tool can only improve the process. “Little man” looks like he had a great time helping! Hmmm. Trying to order needles, but the variety pack isn’t an option and the price doesn’t seem to reflect the discount mentioned on the blog. I’ll try again in a bit. Binding is one of my favorite parts of quilt making. Maybe because it is now almost done except that pesky label, which I am a failure at doing most of the time. I love to bind quilts and usually do it right away after it is quilted. Binding use to be a chore but now I don’t mind it at all. The secret for me is to make my binding as soon as the quilt top is done! That way it is ready for me to put on and I bind my quilt as soon as it is done. NO UFO’s when I’m this far along….only when I start projects!! I live to bind in the winter. The warm blanket on my lap on the couch watching football. I have been using these needles for a few years, best part is the labeling, u have never been able to remember what needle is for what, thread either, these help me not have to worry about it. I love sewing the binding on my quilts. I always look forward to doing that. And in the winter, the quilt keeps me warm while i sew. I enjoy binding. It is a sign of completion of the quilt! Yes, I do my binding as soon as the top is completed. I look forward to having an easier time threading my needle for binding after I receive my binding needles. I love all hand work. I sit watching tv and stitch away. I find it very relaxing! I love the final step of binding, the hand stitching. I put on my favorite movie or show and enjoy the time. Funny thing is after that I always remember the movie when I look at that quilt. During my most recent quilt I bing watched Outlander. I’ll always remember Jaime and Claire when I look at that red and gold quilt. I don’t mind hand binding. I feel like I don’t finish many quilts in a year but start many. Binding means the end and that is a good thing. I must try your needles. Thank you. I actually enjoy binding, whether it is a big quilt or small wall hanging. It means all the effort and sometimes hard part is done and I’m on the home stretch with the finish line in sight. Sometimes it is the last look at the project most often just before giving it to someone. Oh, and that feeling when you open it up to take the last look at it with the finished edge, always puts a smile on my face to see the quilt in its “frame” (meaning the binding). Thank you for all of your wonderful inspiration! I’m happy to pay! I love hand sewing but hate to sew binding on… I do sew my small quilts because I’m not paying for the small ones! I love to hand bind thru Fall and Winter. I have a rocker on the front porch where I can watch squirrels and birds compete for the feeders. Winter evenings I cover my legs and Daphne, (standard poodle) squeezes in and we’re all toasty . There’s something therapeutic about binding, and then Joy at completion. My Christmas prep is going well… only the youngest, my Nick (25) will be here… but the rest of the crew are coming (from Texas and Seattle) in January for some fun in the snow! Happy Momma!! Actually I don’t mind binding and I do it as soon as my quilt is finished. It’s like, this is my time to relax in the easy chair, watch a little TV, and bind away finishing my quilt. So to me it’s the last step of quilting and it’s all done in ‘relax mode’! Thanks! I love to hand bind my quilts. Never use the machine. I like to get them done right away. Your grandson is just so cute! Binding is not my favorite part of the quilting process but I try and do it right away. I have been trying to learn to bi d by machine. Our Christmas celebration is today so our kids don’t go crazy on Christmas and we get to spend more time with them. I ha e games planned. We do a cake walk for prizes their favorite. A new game of fine the candy cane and pin the ornament on the tree. Merry Christmas! I like to bind, it’s so nice to get the quilt finished and so relaxing to do some hand sewing. I’m really excited to try your binding and big stitch needles, I already love your chenille needles for working with wool. Merry Christmas! I just got into really working with wool these last few months and I am hooked I just love it. I also love to bind my own quilts. I think it is the best part of the whole process because I know when I take that last stitch that all the hard work I did is finish and I can then use it.would love to win your needles that’s all I use any more. I love to bind and your binding needles make it easier, and I have used your #24 chenille needles since I started wool applique( they were provided in my kit) and I still use them every day. I don’t mind binding at all. It gives me time to catch up on shows I’ve recorded on tv and it also makes me feel my quilts have that extra special personal touch. I kind of like binding. Sitting in front of the TV and watching a good movie. So, my bindings get done right away. That kid is too cute!! I love to sit in the evenings and hand sew the binding down. I am not a fan of putting on my own bindings, but I do it! I paid once to have it done and it was not to the degree of perfection I am used to. The good thing about putting on those bindings is you know you will soon get to wash the quilt and give it that cuddly antique feeling! I can do the corner miter but I get uptight on joining the final ends. Sure have viewed enough videos. Hand stitching the binding is fine. I LOVE to bind. It’s mindless , I can watch TV while doing it, I often call a cousin or two in the speaker and catch up with them and bind , I do it at our guild meetings , it’s great. And it feels wonderful when your done , a great sense of accomplishment. I do the binding right after it’s been quilted. Sometimes it takes years to get quilted, so once that’s done the binding takes no time. Those binding needles sound great! I quite enjoy sewing on bindings: it means the quilt is almost finished! I also find it a relaxing thing to do in the evening by the fire! The binding is the finishing touch, so I enjoy the process. I bind each quilt when I get it back from the quilter. I love seeing it all done. I find that I have always completed binding my quilts right after I finished quilting them. It is like completing the meal with the dessert. Knowing the finished quilt is very near spurs me to getting it done. I find it tedious but not as bad as other sewing jobs. I’m working on a quilt binding right now, and you’d think that after (mumbles number) years, I’d’ve heard of binding needles! I’ve always used betweens needles because they’re nice and sturdy, even if a bit short. What a great selection of needles. I love that you put the description of the needles on the tube. So many times I’ve been given a pack of various types and sizes of needles, and I have no idea what they are for! As to the binding question, I don’t bind as much as I used to as my hands get tired (I have RA), but lately I’ve been doing a lot of small quilts and I do bind them. Thanks for all you do to make our lives easier! My gosh….Little Man is growing up so fast right before our eyes. Thank you for sharing. Mine are all adults now and miss the adorable age. Now they are just handsome and beautiful. I do love your needles and use them all the time now that I am hooked on wool. I threw out all the others I have bought threw the years. I love to bind quilts. I look forward to this step in my quilting as this is the next to final step to having another beautiful quilt finished. (final is the label) I even bind for my friend that is very ill. She is trying to get all her project done for her family before she dies. Give me great pleasure to spent time with her as she works her way threw this terrible process. That is what a friend does for her friend in need. I love binding quilts – it’s just about finished – such a great feeling. They don’t not wait – they are finished right away. Also, love that the needle tubes state what the needle should be used for. Binding is my down time activity. I bind as a passenger in a car and during TV time. Love it. Binding is one those handwork projects that you can do when your brain is not able to handle complicated thinking. It is relaxing and a stress reliever. I love hand stitching the binding because the quilt is almost done! Then on too another project. Binding my quilts is like putting the icing on the cake. Would like to try your needles. I hate to bind – absolutely hate it…..I have stacks of quilts that need to be bound. It is so embarrassing that my quilting friends have offered to bind them for me – I do not let them. However, once I actually bind one – I’m so pleased that I have completed an actual quilt! I will put it off – I have them from 10 years ago sitting in a pile! I do like to bind my own quilts. These needles sound wonderful. I like to bind in the evening when watching a little TV~ I think it is really relaxing. First of all awesome info on your needles. I love handwork so love my needles. Binding means finishing a quilt and those last stitches seal the love by hand in my books. Love binding, embroidery, wool work and embroidery. Merry Christmas …. Binding is very relaxing and I can only imagine how nice it would be to use your needles. I don’t like to bind at all. I have a little baby quilt that has been waiting for 9 years to get a binding put on it. It is my least favorite part of quilting. I do love to do my own binding. The last finishing touch. For me it is soooo relaxing to just sit and bind watching a good movie, the grandchildren sitting next to me, just quiet time. I am excited to try these needles. Although I love every aspect of the making of my quilts, binding would be my most favoite part. To be able to sit back and hand sew the binding and peeking around each corner to see how beautiful it is turning out makes me smile. It’s a ‘feel good’ moment. So yes, I get to it right away. Your little man is adorable. Hoping your husband is gaining each day. Yes! Your little guy is a cutie! Great photo of him. I love binding. I love hand sewing so for me, it’s a joy and it’s the last step to being done, hehe. I do like to bind quilts-that means I have completed one more! I don’t mind doing it because I like hand work. The only problem is the cat can’t find a good place to burrow up in for a while. I love to bind. I do it as soon as the quilting is done. Anxious to try your binding needle since I usually use one of my straw needles. I enjoy binding because it finishes the quilt and now it’s ready to be used!! Would love to try your needles. I’ve used your other needles for years and they are great to work with. I don’t like to sew the binding, however, since I do not do my own quilting, I feel like I should have the last bit of sewing to ” finish” the quilt. And, it forces me to sit still and stitch for a day. And, such a good feeling when it is complete! Actually just finished sewing the binding on the Majic of Christmas quilt! I don’t mind binding at all. I do keep it for evening TV watching and when the quilt is done, the binding gets put on at once. Would love to try your needles. 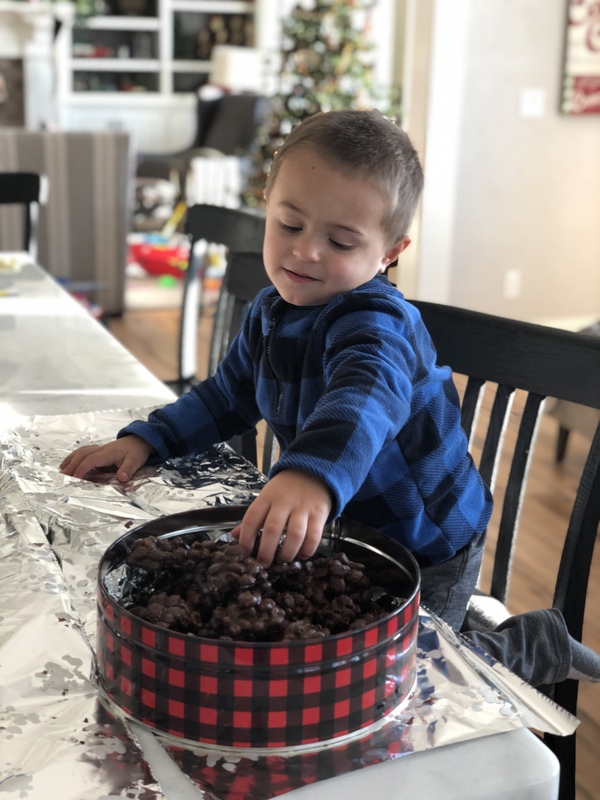 Your little man will make Christmas so much fun for you – I’m jealous! Merry Christmas to you and yours and all the best in 2018. Binding does not bother me. I like finishing projects. I enjoy binding – any handwork actually. I do all my daughter-in-law’s bindings as well as my own. She’s a long-armed and we trade tasks. Love it. I definitely want to try some of your binding needles. Stitched on binding is going to be a new experience for me. I have always just cut backing bigger and turned under to the front and stitched by machine. I’m making a wall hanging of a Paris street scene for my granddaughter for Christmas and am going to try astitched on binding for it. Wish me luck! I love all your needles. They are all I use and I could never have enough. I Love to bind a quilt. The handsewing is so relaxing to me. I also know that this will finish my quilt! I always do the binding when I get my quilt back from the quilter. Thanks for the giveaway, I always Love needles. I love to put binding on while watching tv! I have several quilts that need binding but I haven’t had time to make the binding! After Christmas I’ll have to put that on my to do list!! I don’t mind doing the binding. To me, it is the last lovely part of finishing a quilt and a time for reflection–what I could have done better, what I learned, what I need to learn, what do I need to focus on to make this kind of quilt better next time, etc. And that is one cute kid. Binding is very difficult for me for some reason. I never learned to properly do it. Many people say it’s super easy. I have binding rulers and try my best at it, but it just doesn’t look crisp like other people’s binding. The corners are especially difficult. It is something that I would like to learn how to do better in the year to come. I love to bind my quilts and am so excited you carry a needle good for this purpose. 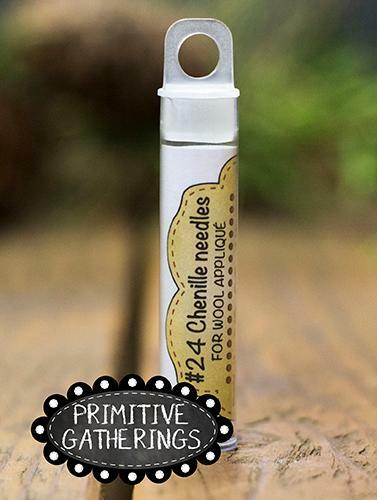 Love that you state what to use the needles for on the packaging. I have a bunch of needles and can never remember which one I’m supposed to use for a particular type of project. Baking with grandsons is the best. I have four of them (ages 5, almost 4, 2 and 6 months) and we made cookies last weekend. Did you get an iphone 8 or 10? Hubby wants to buy me a new one because I have an iphone 5 for Christmas and my son got a 10 and he likes it, but I’m curious what others are getting or have already gotten. Thanks, Lisa and Merry Christmas ! I like sewing the bindings on, once I get to that poin, I am anxious for the quilt to be done. Love the needles especially the binding needle. Bind my quilts, love that process. I do enjoy binding, it’s satisfying to have my project done and spend that last bit with it really habits chance to look it over. I’ll be placing an order for new needles for sure. I love binding!! Also you never have enough needles! I love to sit and bind a quilt and watch a movie or something I have DVR”d. I find handwork of any kind very relaxing. I usually try to get the binding done as soon after the quilting is done. I really like the word “DONE”!!!! I like binding, hand appliqué, knitting……anything that lets me sit, relax, and keep one eye on TV. I do not mind binding at all. I always make my binding when I finish my quilt top and label and put in a container until it is quilted. That way I do not use up the fabric for anything else. Love your all your needles, must try them all. I’m not sure I love to bind, but I’m always eager to get it done as it means I am finished with the project. My stack of quilts are waiting for quilting–not binding. I have great plans for the new year, let’s see if they pan out. Your chenille 24’s are my favorite. 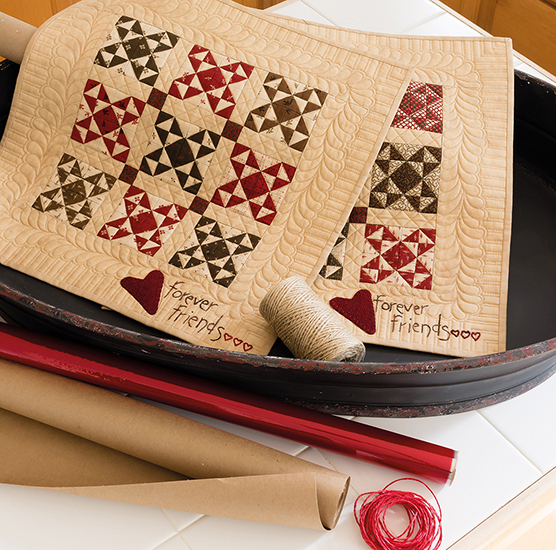 Binding – the perfect ending…❤️ To bind my quilts. I have never paid to have a quilt binded, didn’t know one could! Only have one on a pile to bind, although it’s been there for 15 years. Umm…maybe something else is holding it up! I enjoy binding a quilt, and enjoy all parts of making a quilt. I also put the binding on right away, so no quilts are waiting for their binding to be stitched down. This is probably because I am up against a deadline for the quilt and need to get it done. Am going to check out your binding needles. I love binding. I enjoy sewing by hand. hello, you are having the most fun 12 days of… I love doing binding it tells me that all my hard work is coming to an end and its time to think about the next project. I like it because it’s some I can do in my lap in our den watching some thing with Mike. Of course the last 3 years I have had my wool applique to work on too. since you gave us needles in our summer block of the week, I am not in need to buy any at this time, I know it’s a good deal but will have to save the money for another day. my Christmas prep is going ok, I was supposed to put the last gifts in the mail Friday but just finished putting the final touches on the (9 great nieces and nephews) wool ornaments complete. Monday for sure. I just started working on a couple quilted table mats for coworkers. I better get back at it or someone’s gifts will be late. First, Jace is precious! I HATE to put binding on my quilt. I love making the continuous bias binding and machine stitching it on but the hand stitching is way too slow for me. My unbound quilts stack up unfortunately! I don’t mind the binding at all. I bind the quilts right qway so I can get on to the next project. I love that you print what the needles are for right on the package. That is just brilliant! You are so smart, Lisa! For me, doing the binding can be a necessary evil or a great sense of accomplishment depending on the project. I would say it’s about 50/50 on if I bind right away or put it off until later. 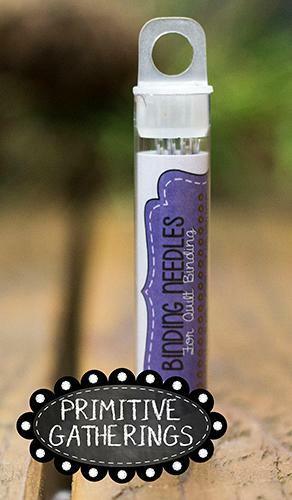 Can’t wait to try the “binding” needles. I look forward to hand stitching my bindings. I always make my bindings while making the quilt top, so I’m ready to go once the quilting it done. I want to try Big Stitch hand quilting–just need to find some more hours in my week! Merry Christmas! I’m not a fan of sewing the binding on, however I don’t mind hand stitching it on I have never tried the binding needles. I always bind my own quilts…I’d like to say I bind them right away, but I do have a few waiting in line!! Hope Nick is recovering well!! So much fun to bake with grandkids!! Had our annual cookie baking day with our daughter and granddaughter today!! Loved it!! I love binding my quilts, I don’t do my own quilting, so its like the last finishing touch I get to put on them…I had no idea there were binding needles!! I do both – bind right away (I’m working on two at the moment), and I have two that have binding sewn on and need to be finished, UFO’s at this point. I like to bind. Finding time is the hard part unless I do it first thing in the morning! I enjoy binding. I know I am almost done and ready for the next project! I pay someone else to do my binding…I’m chicken to try it and don’t like hand-stitching too much. Although I did do a little EPP this year, and that wasn’t sooo bad. Gotta say, don’t love binding a large quilt, but love having the quilt finished. However, I can mull what’s next on my ufo list as I’m binding. Perhaps I need to try the binding needles. I love my wool needles. And yes Lisa your grandson is adorable! Love to hand bind….I find it very Zen….I get in my zone and stitch away happily :0) Thanks for the chance to win and Merry Christmas to you and yours. I enjoy binding my quilts. I always use a double fold bias binding. I like to do my own stitching and am really particular about the corners. I have a BOW quilt ready to be bound. It is gorgeous- the one with words. My hand quilter said it took alot of thread!! Love sharing – a show and tell with my quilting group – when a quilt gets back from the quilter. I enjoy hand quilting but don’t get alot of that done – applique gets done eve’s. Thanks for asking. Jace is so cute. I do love to bind. Binding is my favorite part of quilting. Just waiting for the return of my long armed quilt to return so i can bind it. I currently use a millners needle but the eye is so darn small. Would love to order yours and still may but shipping costs are so steep over borders. Hope you have a great holiday and get to do some hand quilting in 2018. Binding is my go to project while watching hockey with my husband. If only I had more finished quilts to bind….! Binding is the best part. 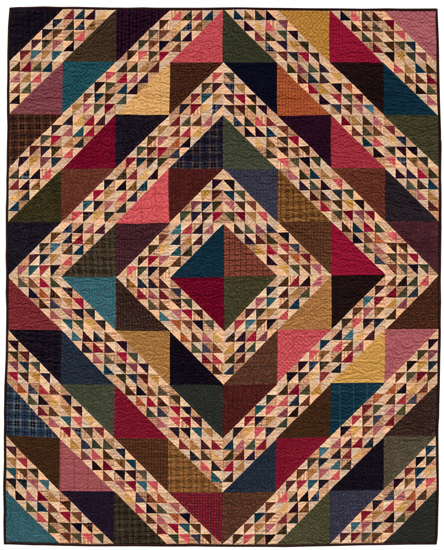 Love snuggling under a big quilt, feeling the quilted lines and admiring the colors. It’s like rereading a favorite book. You know the characters and get to visit with them again. I bind my quilts right away. I don’t look forward to doing it but love having the finished quilt. I am not a fan of binding…fortunately I have friends who love to do it! I bind my quilts when I finish them. But I have a sister who has 2 beautiful quilts she made about 25 years that are still not bound. She has had many offers by friends and myself to bind them. Maybe a new tube of needles will inspire her. I do not like binding but do it…. I have been meaning to try your binding needles. I happen to love hand sewing my quilt binding. I find it very therapeutic. 98% of my quilts are given away so I get a few hours to enjoy them before they go live elsewhere. I do not mind binding at all. Either hand or machine depending on timeframe. Thanks! Wow, I think it is great that your packages of needles are labeled for what theycan be used for. I love doing binding on my quilts as it is a calming relaxing time for me. I don’t really mind binding, although I usually do save it while mindlessly watching TV and/or when my husband is driving and we are doing errands or on road trips. It is almost therapeutic ! Binding my quilts is the best part! So relaxing! I always cut my binding as soon as the quilt is finished so when it comes back from the quilter it is ready to be stitched on. Then it’s on to the next project. I love sewing the binding on my quilts while watching tv. I have some of your needles and love them. I don’t mind binding – don’t love or hate it. It is nice to be completely done with a quilt once the binding is on! I like your new binding needles. I always used a short needle, but these new long ones are great. Not so crazy about the machine sewing part of binding but love the hand sewing part–very relaxing and feels so good to be near completion of the quilt! Thanks for the giveaway! I am curious about your binding needles! I love that you have them labeled what they are used for! Brilliant! Nothing worse than pulling out needles that don’t work for what you need. These are on my needful things list! I don’t like to see the binding to the quilt because I can’t remember how to join the two ends and always need to look up a video but I enjoy finishing the binding by hand. I do believe the quilt grows in size as I bind!